Enjoy amazing efficiency and cutting-edge features with the 2017 Toyota Prius. The hybrid that started a revolution has only improved, addressing the evolving needs of modern drivers and passengers. Advanced onboard technologies work to prevent accidents, plus guard against injuries. Other systems address entertainment and connectivity needs, no matter where you go. There are four versions of the Prius for 2017: Two, Two Eco, Three and Three Touring. As you move up the trim levels, an increasing amount of features come standard, making it a more premium vehicle. No matter which model you select, the same 1.8-liter four-cylinder DOHC engine is at the center of the powertrain. Variable valve timing with intelligence balances efficiency and performance. A permanent magnet AC synchronous electric motor is also included. Providing power to the electric motor is a 201.6-volt lithium-ion battery. The entire hybrid system puts out a maximum 121 horsepower. An electronically controlled continuously variable transmission (CVT) directs engine power to the front wheels. 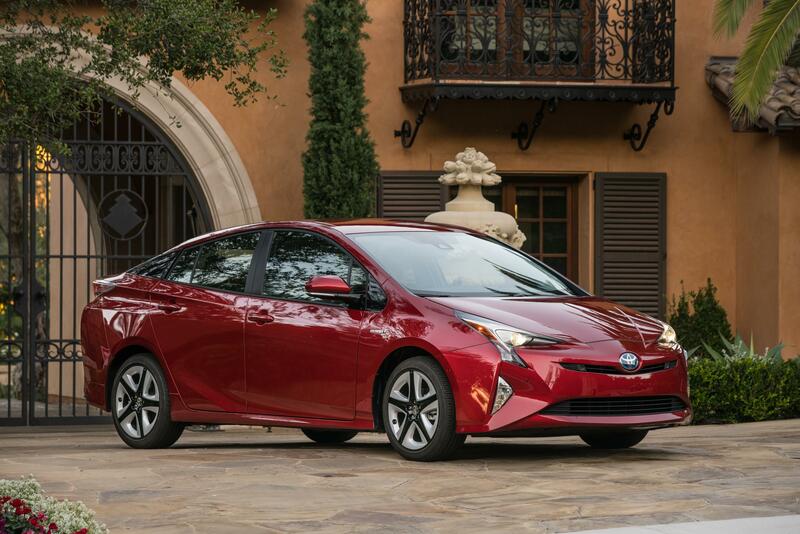 Of course, the Toyota Prius is designed to make the most out of every gallon of gas. Efficiency goes beyond just the hybrid powertrain. For example, a tasteful rear spoiler not only looks sporty, but smooths out wind turbulence for improved aerodynamics. When it comes to handling, the Prius will blow some people away. An independent MacPherson strut front suspension,plus a double-wishbone configuration in the rear does a great job of keeping the tires on the road, all without transferring too much energy to the occupants. Electric power steering and a power-assisted rack-and-pinion setup is responsive, so when you turn the wheel the car goes where intended. A more rigid body, thanks to the use of advanced materials in the structure, improves rigidity for an even more responsive and comfortable ride. Four-wheel disc brakes not only keep the vehicle reigned in, they help capture energy that otherwise would be lost. 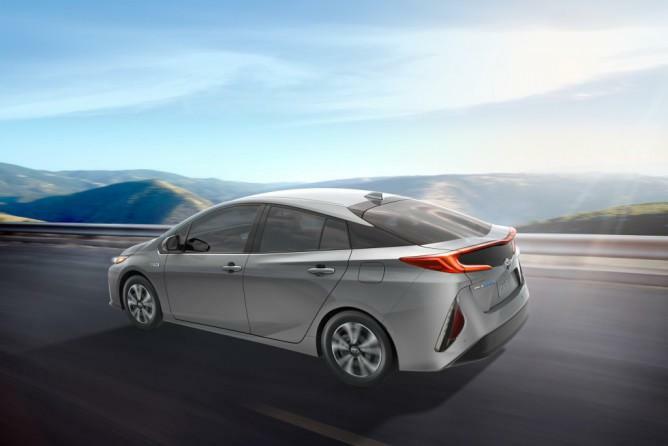 The Prius has you covered at all times, thanks to some innovative safety features. Lane departure alert can read markings on the road, using an audible and visual alert if the car starts drifting over them. Steering assist steps in to provide gentle correction, guiding the driver to bring the car back into the lane. A dynamic radar cruise control detects the location of cars up ahead and how fast they're traveling, making automatic adjustments so the Prius follows at a safe distance, all without driver intervention. The pre-collision system is always looking ahead for potential accidents, and pedestrian detection can spot people crossing in front of the vehicle, triggering an alert and the braking assistance system. Anyone who's a fan of technology and practical comfort will love the Prius interior. Adults can truly stretch out in the front and rear seats. Through the available 7-inch infotainment screen and 4.2-inch color multi-information display, drivers can manage everything from navigation to the sound system. Thanks to an optional Qi-compatible wireless charging pad, you can replenish the battery on your phone, tablet or certain other devices without any wires or plugs.